Soon after beginning their cleanup of a fume-filled tanker car at an Omaha, Nebraska rail maintenance yard, Adrian LaPour and Dallas Foulk were dead. An explosion that April 2015 afternoon trapped LaPour in a flash fire inside the car and hurled Foulk out the top to his death. Six months later their employer, Nebraska Railcar Cleaning Services, was hammered by the U.S. Occupational Safety and Health Administration with seven citations for “egregious, willful” workplace violations, along with 26 other charges. The agency proposed fines of nearly $1 million. To top it off, OSHA announced that it was tossing the company into its Severe Violator Enforcement Program, or SVEP. Six years into the severe violator program – arguably the broadest workplace safety initiative launched during the Obama administration – more than 500 businesses are on its list of bad actors. They include corporate giants such as DuPont and International Paper, each with tens of thousands of employees, as well as more than 300 construction firms, many with fewer than a dozen workers. 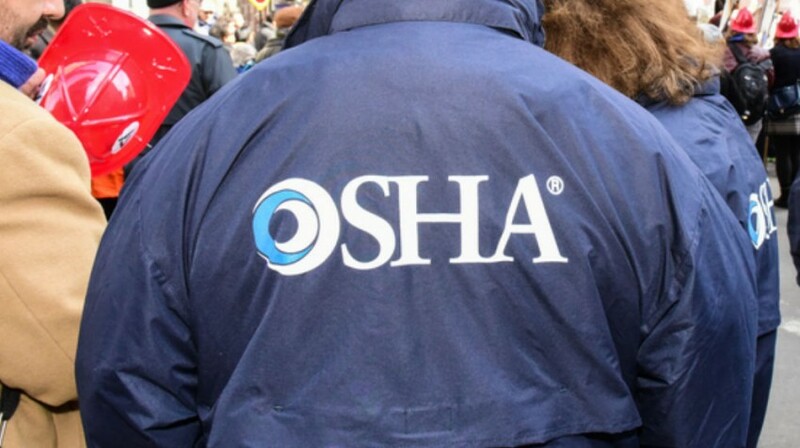 Along with subjecting employers to a form of public shaming, the severe violator program helps OSHA work out settlements intended to force companies to clean up their job safety practices. The program, which replaced a George W. Bush administration initiative that an inspector general’s audit derided as ineffectual, also can result in extra inspections, sometimes at multiple sites, and force companies to hire new safety personnel. The effort, though, faces an uncertain future under the Trump administration. The severe violator list represents an attempt to deal with an overwhelming regulatory challenge. With OSHA and its state counterparts relying on fewer than 1,850 inspectors to monitor about 8 million workplaces, it would take federal officials 145 years to inspect each job site once, union researchers estimate. The aim of the list is to let OSHA’s limited staff zero in on some of the worst offenders. But the targeted nature of the program creates a Catch-22. The death of a worker is clearly the worst thing that can happen at a job site. Yet with about 4,800 workplace fatalities a year nationally, putting every company with a death on the severe violator list would overwhelm OSHA and defeat the goal of tougher enforcement for a subset of the worst offenders. For that reason, the death of a worker will put a company on the list only if the circumstances are particularly flagrant or reflect a pattern of reckless conduct. In 2015 only one out of every roughly 200 employers with an on-the-job fatality landed on the list. At the same time, it’s not certain that the program has effectively deterred recalcitrant employers, as OSHA lacks any comprehensive assessment of its performance. For evidence of the impact, OSHA officials point to settlements they have reached with companies on the list. “There hasn’t been a really good objective evaluation,” said MIT Professor Thomas A. Kochan, co-director of MIT’s Institute for Work and Employment Research. Michaels, who will leave the agency by the January 20, 2017, presidential inauguration, expressed hope that the Trump administration won’t dismantle the severe violator effort or other enforcement initiatives. He said tough enforcement protects responsible employers because it “levels the playing field” between them and competitors who skimp on safety. Still, the anti-regulation views of Trump cabinet picks including Andrew Puzder, the president-elect’s choice for labor secretary, are raising expectations of cutbacks in workplace enforcement. Nebraska Railcar –- currently the target, several sources say, of a Justice Department criminal investigation of last year’s explosion –- highlights how long it can take a wayward company to be put into the severe violator program. Jacob Mack, who worked for the company in 2013, says he told OSHA about brutal conditions long before the deadly blast. “Not a day goes by I don’t remember the hell there,” Mack said. The company wasn’t listed until after the explosion even though it, as well as other businesses controlled by Nebraska Railcar’s majority owner, Steven Braithwaite, had repeatedly been cited by OSHA dating back to 2005. That includes a 2013 citation involving a fire risk from oil storage tanks. Nebraska Railcar stayed off the list, though, partly because its prior violations didn’t involve hazards the agency deemed high-priority, such as falls, amputations, cave-ins and exposure to toxic chemicals. Case Farms, a leading poultry processor with plants in Ohio and North Carolina, finally landed on the list in 2015 after being cited for more than 350 violations over a 25-year period, according to OSHA. The case, which processes nearly 3 million chickens a week for fast food chains and supermarkets, last year was fined $861,500 for 55 violations, including amputation and fall hazards, at its Winesburg, Ohio, plant. Sometimes disaster has struck even after companies were put in the program. One such case, in October, spurred a public outcry in Boston. Two laborers working for Atlantic Drain Service died after being trapped in a trench that was inundated by water, dirt, and debris after a pipe burst. Atlantic Drain had been on the severe violator list since 2012. Whatever the shortcomings of the severe violator program, labor advocates say, the wide range of companies it snares -– and the number and gravity of their violations -– underscore its importance and the need to protect workers from callous bosses. OSHA’s other options are limited. The agency lacks the authority to shut down dangerous workplaces and its fines generally remain modest despite an increase that took effect in August. “OSHA is one-eighth the size of the EPA, it has the lowest penalties of almost any government agency – but even though it is small, it is critical that enforcement is maintained,” said Deborah Berkowitz, the OSHA chief of staff from 2009 to 2013. The severe violator list, she conceded, is “not an end-all tool,” but an important tool. An example OSHA officials point to is Ashley Furniture, the nation’s largest retailer of home furnishings. It was listed last year after being cited for 38 violations, 12 of them willful, and assessed $1.76 million in fines. Inspections showed more than 1,000 work-related injuries in less than four years at its plant in Arcadia, Wisconsin. Over 100 of the injuries took place on similar woodworking machines, including a July 2014 incident in which a worker lost three fingers. In June, the privately held firm settled the case, agreeing to pay penalties of $1.75 million and to adopt safety measures in Arcadia and at three other plants in Wisconsin and Mississippi. Some corporate defense lawyers say being labeled a “severe violator” is such a black eye that it strongly motivates companies to avoid trouble with OSHA. However, they criticize the program for lacking due process, because companies are labeled severe violators even as they appeal citations. In the meantime, corporate lawyers say, competitors or critics can take advantage of the situation. If residents near a listed site “don’t like your company, to begin with, this is more ammunition they can use to go to a zoning board to block permits for expansion,” said Adele Abrams, a Washington, D.C.-based attorney. On-the-job deaths can keep companies in the program for years. DuPont was listed after four workers at its La Porte, Texas, chemical plant died of asphyxiation in 2014. The disaster occurred after a supply line released more than 20,000 pounds of deadly methyl mercaptan gas. The company, which manufactures pesticides at the Texas plant, was assessed $273,000 for eight OSHA violations. DuPont said it couldn’t comment because it is appealing its case. AMF Bowling Centers, Inc. has been on the list since 2011, when a worker at its lanes in Addison, Texas, was fatally pulled into an automatic pin-setting machine while trying to clear a jam. OSHA had previously cited AMF in 2007 and 2008 for failing to provide proper machine guarding on pinsetters. The case was settled, with AMF agreeing to pay more than $90,000 in penalties. Oil services giant Nabors Completion and Production Services Co. was listed following the death of welder Dustin Payne, a 28-year-old former Marine who served in Iraq and Afghanistan. He was killed in a 2014 explosion when vapors ignited inside a tank he was welding in North Dakota. Houston-based Nabors, which boasts of operating the world’s largest land-based drilling rig fleet, was assessed $97,200 in fines and charged with a willful violation for not having thoroughly cleaned the tank of oil residue before sending Payne in. “Dustin Payne and his fiancée should be discussing marriage and their future together. Instead, she is left stricken and trying to move forward without him,” Eric Brooks, OSHA’s area director in Bismarck, N.D., said in a news release. International Paper Co. was added to the list last year after a 57-year-old mechanic was killed in a fire while replacing filter bags in machinery at its Ticonderoga, N.Y., plant. The bags contained combustible dust that ignited. In assessing $211,000 in fines, OSHA said the company had failed to supply fire-resistant clothing or adequate training. The firm had previously been cited for failing to conduct annual inspections of ignitable equipment at company sites in Chicago and Newark, Ohio. Although big companies draw the most widespread attention, the employers most commonly labeled severe violators are small construction firms with high emphasis hazards related to falls or excavation cave-ins. Yet small construction firms often elude the follow-up inspections that are supposed to be a key feature of the program. A FairWarning analysis of the current list of 523 severe violators found that 167 had not been re-inspected, and almost all were construction firms. In many cases, the firms had shut down their worksites or went out of business before inspectors could return. Last month, Sky’s site foreman was convicted of criminally negligent homicide in the death of Moncayo, one of at least 18 New York City construction workers who died on the job in 2015. The project’s general contractor, Harco Construction LLC, was convicted of manslaughter and criminally negligent homicide in June. Deadly incidents also have brought rail tank car cleaning companies into the program. At Nebraska Railcar, the disaster came soon after the workers returned from a lunch break and started digging out thick residue from an oil tanker. The lone survivor among the three employees working on the tanker, Joe Coschka, 36, said he was just outside the car, lowering buckets of the blacktop like material into a 55-gallon drum. Coschka said the odor from inside the tanker was powerful, and that an air monitor was beeping. Even so, he said he assumed a supervisor who should have known better than him whether the air was a hazard, should have informed workers to evacuate the tank car immediately. Soon Coschka heard a loud hiss, and then sparks started shooting out of the tanker. The next thing he remembers is dangling from the side of the car, still attached to his safety harness, with a fire raging inside. “And I knew Adrian was in there, and Dallas was looking pretty bad on the ground. I just knew I had to get out of there,” said Coschka. He managed to scramble to safety despite suffering back and shoulder injuries. Coschka remains haunted by the disaster. Although he sometimes blames himself for not questioning the foreman who sent the workers into the tanker car, most of his anger is aimed at Braithwaite, the main owner of the business. He said he wishes the tougher OSHA actions had come sooner. Referring to the years of citations against Braithwaite’s companies, Coshka added: “It’s just sad because this guy dropped the ball so many times and he just keeps getting away with it.” Coschka had started at Nebraska Railcar only a month earlier. "I Can't Get No Traction!" 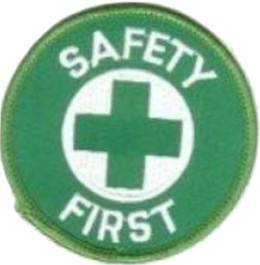 - Preventing "Slips, Trips & Falls."